Mick Oberon may look like just another 1930s private detective, but beneath the fedora and the overcoat, he's got pointy ears and he's packing a wand. 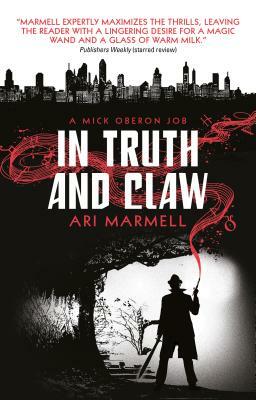 A series of brutal murders is sweeping Chicago, baffling both the local police and the Seelie Court, who sense that an aura of corruption and death has touched Mick himself. When Mick's associates become targets, and a vampire appears in his office, Mick is drawn into his most dangerous hunt yet. A hunt that will lead him to seek answers about his mysterious past and what it could mean for those in his present.